MUMBAI: Swedish DJ and producer Avicii committed suicide with broken glass that he used to cut himself, reports tmz.com. Multiple sources familiar with the circumstances surrounding the famous DJ's death told the site that he did indeed take his own life -- something his parents alluded to last week. The sources said the method of death was a shard of glass that caused massive bleeding. Two sources told tmz.com that Avicii broke a bottle and used the glass to inflict the fatal wound. One of the sources said it was a wine bottle. The DJ, who was 28, was found dead on 20 April in the Middle Eastern country of Oman. He battled alcohol problems for years, and his friends worried those issues would eventually kill him. MUMBAI: Three soul singers Fantasia c and Andra Day got together to pay a tribute to the 'Queen of Soul', the late Aretha Franklin at the 61st c here.Franklin died on August 16, 2018, of pancreatic cancer of the neuroendocrine type at the age of 76. MUMBAI: American musician Aloe Blacc, who had teamed up with Avicii for a track, says the Swedish DJ cared deeply about his music rather than focusing on fame and fortune. 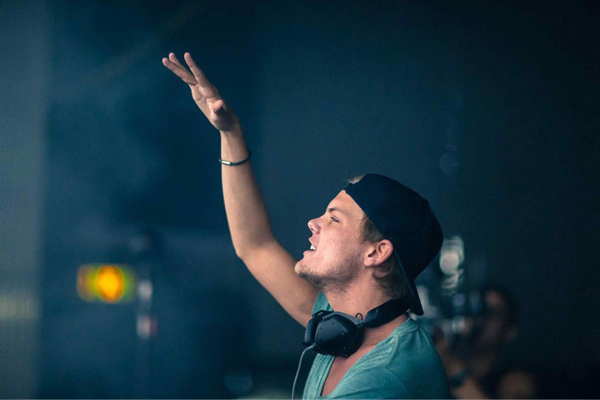 MUMBAI: Late Swedish DJ Avicii, whose suicide had shocked the world, earlier this year, has done a deed to leave his global fans heartfelt. MUMBAI : Singer Rita Ora has become the most successful UK female artiste of all time on the UK Official Singles Chart.Her new single Let you love me has become her 13th top 10 on the Official Singles Chart, climbing to number eight on the latest Top 40.